Peter Bombar takes a break in the Piedmont. 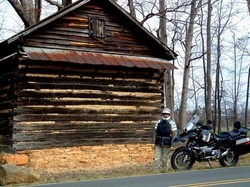 One of the best things about living in North Carolina is having the ability to enjoy motorcycling year-round. While it’s tough to beat the mountains for fabulous views and tight twisties, the Piedmont region holds its own rather nicely, and of course, there is nothing like riding along the glorious coast. Many riders become weekend warriors due to lack of free time during the week, but riding doesn’t have to mean a lengthy road trip. With a little pre-planning, you can easily squeeze in ride time before or after work. Even a quick lunch ride will lift your spirits and leave you energized to tackle the afternoon. If you plan to ride after work, why not pack a picnic supper in the saddlebag and head out into the blue? Click a region on the Motorcycling tab at top - place your cursor over the highlighted tab for drop down menu - for a list of that area's roads. The dropdown lists a few popular riding roads and many roads less traveled that make for a nice ride with minimal traffic, good twisties, and stunning scenery. Rider comments are included. Some of the suggested routes are longer than others, all listed are one-way so be sure to double the mileage for a round-trip. Miles are approximate and will vary depending on your starting point. Please help us update! If you know a road listed here to have changed or be in poor condition, please use the Contact section to report it. Ditto for a fabulous find that isn't listed here - please share the fun! 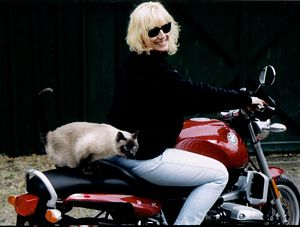 Enjoy the ride - and ride safe! Need to Service Your Bike in NC?